Hi Y'all, it's me, that girl katie, Last month we hosted a wine party with a few hints of celebrating St. Patrick’s Day as well. As everyone arrived I took the bottles and put one bottle of wine inside a stenciled bag & the other one away for the winner. I did have a few friends drop off their wine prior to help make this process easier. Once I had all wine on my chalkboard tablecloth with the labeled wine glasses I had for everyone, I gave the “Go Ahead” to start tasting while voting. Ballets were set out on the table along with a variety of green markers I found around our house. I am really fortunate that my husband likes to cook while I enjoy all other aspects of planning a party. He doesn’t like to make dessert but lucky him because I am obsessed with making ice cream. 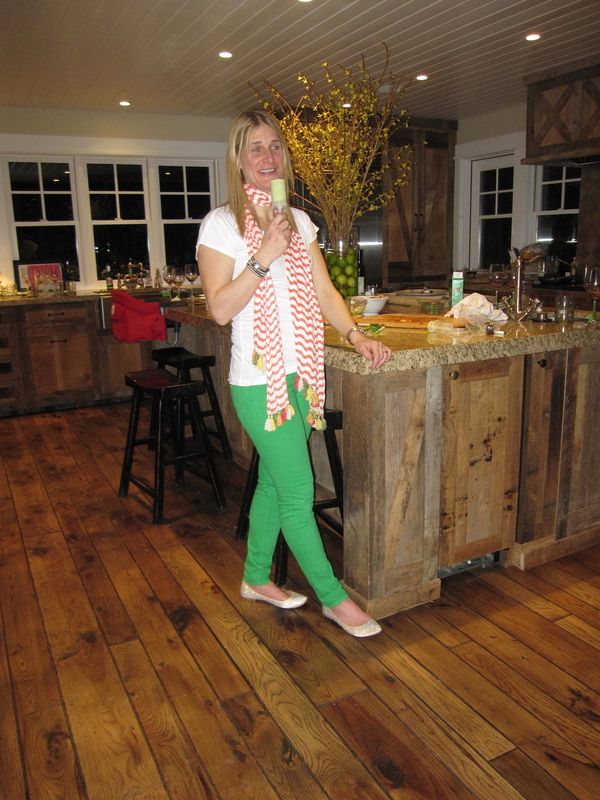 I made pistachio ice cream pops which added to my St. Patrick’s theme and were super easy to hand out. A special thanks to, Marigold Flowers of Jackson Hole for the beautiful Forsythia’s with the limes. All apps and ice cream pops were eaten and all wine was consumed. It was an awesome party! And as mentioned in my email to all guests, the least expensive wine ended up being voted the favorite and the loser bottle had a short walk of shame, it was ours. My email invite and photo's of the evening.